What if a potential customer wants to call me after working hours? 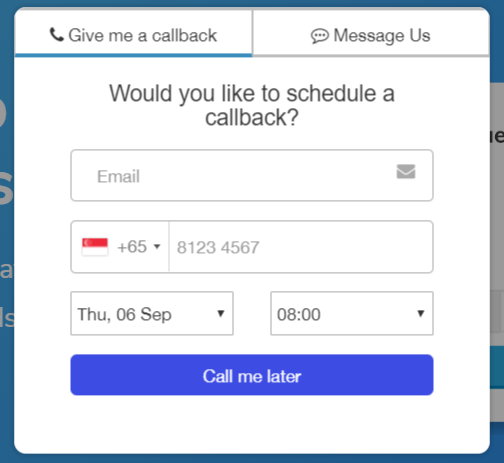 If a customer gets in touch outside of your office hours, the Novocall widget will show them a scheduled callback popup instead. As they can leave their phone number and choose a time for a scheduled callback during your working hours the next day, this allows you to still capture your interested customers even after working hours. By default, your office hours are set to weekdays from 9am to 5pm. You can change your office hours under "Settings" > "Call Settings" >"Working Hours". Just set your hours for any given day or for weekdays or weekends.